Windows Phone team at the Game Developer’s Conference (GDC) in San Francisco, said the public availability of Unity engine for Windows Phone is now available along with new options from middleware partners, new game titles, and more. 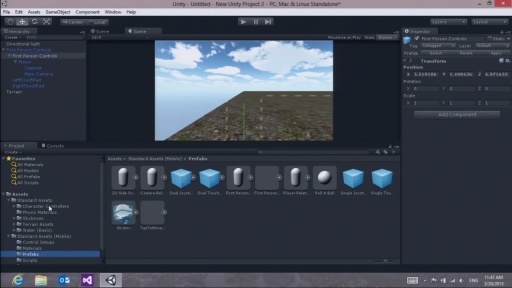 First up, Unity announced that the Unity 4 open beta for Windows Phone 8 is now open to all developers, to try the new tools, provide feedback, and begin Windows Phone 8 game development. In addition, Marmalade has also released a new beta of its Windows Phone 8 SDK, also open to all developers, and announced the first 2 games ported from iOS and Android: 6th Planet (Monkube) and Propel Man (Spiel Studio). Also, today Cocos2d-x, makers of the popular cross platform open source 2D game engine for mobile developers, released a new version of Cocos2d-x for Windows Phone 8 aligned with the Cocos2d-x v2.1 API. 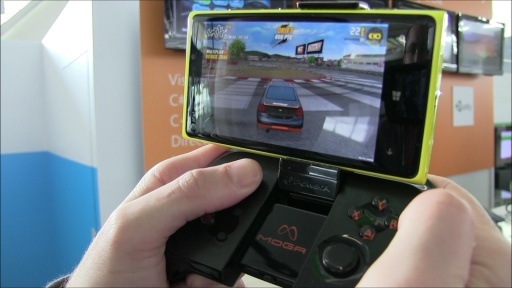 Finally, the new MOGA SDK for Windows Phone will be also be available soon. And, “the convergence of the Windows Phone and Windows gaming platform through a shared Windows core, developers can reuse over 90% of the same code to deliver games to a global device market,” the company added. “Carrier billing, when offered is preferred by 75% of the Windows Phone users who have access to it and drives over 3x paid downloads compared to credit card billing,” it added. Microsoft said further that over 1/3 of all downloads and 60% of revenue from the Windows Phone Store originate from games, and clearly will play a big part in any eventual successes Windows Phone achieves. In fact, almost 50% of the top 50 Windows Phone developers create games for the platform. In the video “Introducing Unity for Windows Phone Devleopment”, Microsoft Technical evangelist Vlad Kolesnikov talks about how developers can get started right now building games for both Windows and Windows Phone using the Unity game developer ecosystem tools. The video first took a look at the first game in the Windows Phone store built using the Unity tools: Drift Mania Championship, and then dove right into using the tools to build a basic game. Here is a video showing off the Moga’s state-of-the-art controller designed specifically for mobile devices working with Windows Phone. In other gaming news, Microsoft announced Xbox 360 Special Edition Camouflage Wireless Controller, which features a transforming D-pad and a unique camouflage design. Begining May, the controller will be available exclusively at Wal-Mart in the U.S., and “only” in select regions worldwide. The price will be $54.99 USD (ERP). Finally, starting Monday, April 1, Microsoft is launching an exclusive feature for Xbox LIVE Rewards Members, “MyPunchcard,” an exciting new way to get rewarded for doing what you love! It’s easy and fun, you can earn for playing and or buying ANY arcade game from Xbox LIVE. Spend 3200 Microsoft Points on arcade games, receive 800 Microsoft Points in return,” informs Microsoft. To become an Xbox LIVE Rewards member, you can sign-up here. Update 03/29: Xbox SmartGlass for Game of Thrones Season 3 will be available in the United States–to let you discover even more of Game of Thrones with HBO GO and Xbox SmartGlass for your Windows 8 tablet or iPad. “As the story unfolds on your TV, Xbox SmartGlass allows you to use your tablet as a companion guide to unlock exclusive content – including interactive maps, detailed character guides, cast and crew commentaries, behind-the-scenes extras and more – right at your fingertips,” Microsoft writes. Now, you can control your Game of Thrones viewing experience like never before. Visual Studio 3D Starter Kit, which shows you how to use common capabilities in 3-D apps and games, has been updated to support Windows Phone 8. “With support for Windows Phone 8, code and assets are shared as much as possible in this update of the Starter Kit, so you can see how easy it is to share code between Windows 8 and Windows Phone 8,” Microsoft wrote. To make the most of the Starter Kit for Windows Phone 8, you’ll need to have Visual Studio Professional 2012, Update 2 CTP 3, as well as Windows Phone SDK 8.0. To download the Starter Kit, go here. If you’ve Visual Studio 2012 Express for Windows Phone, you can get the Phone-only version of the kit over here.